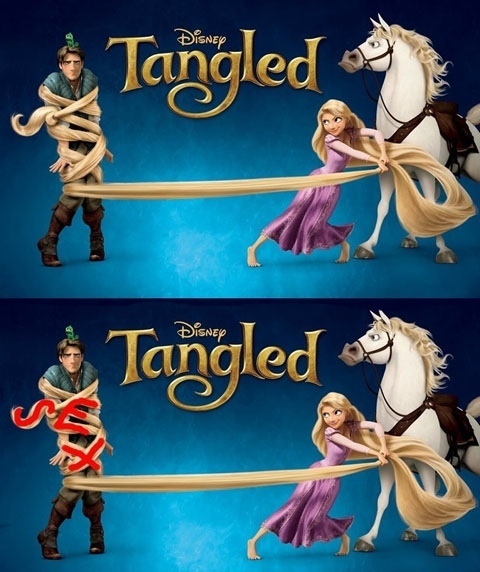 How Disney subconsciously convinced us to see Tangled. Well, as least we now know what those two on the poster were having when the camera stopped. Same with Simba and every lioness in the pride.